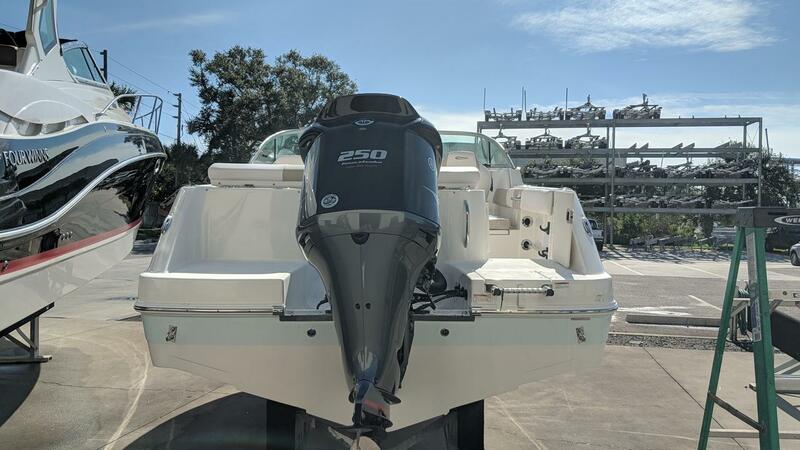 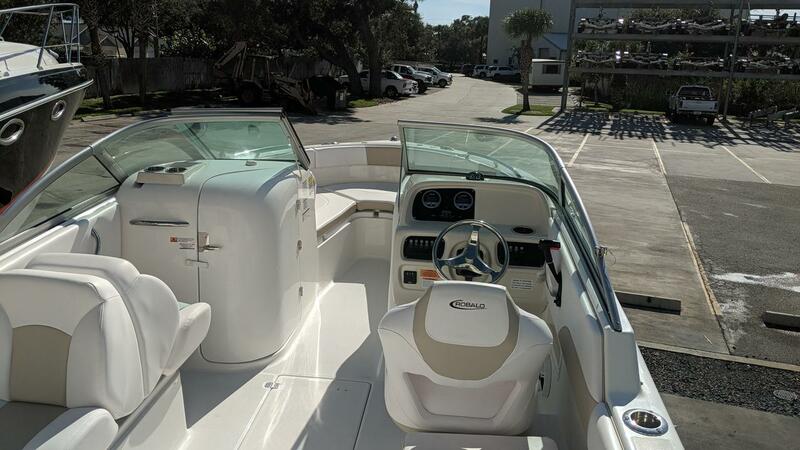 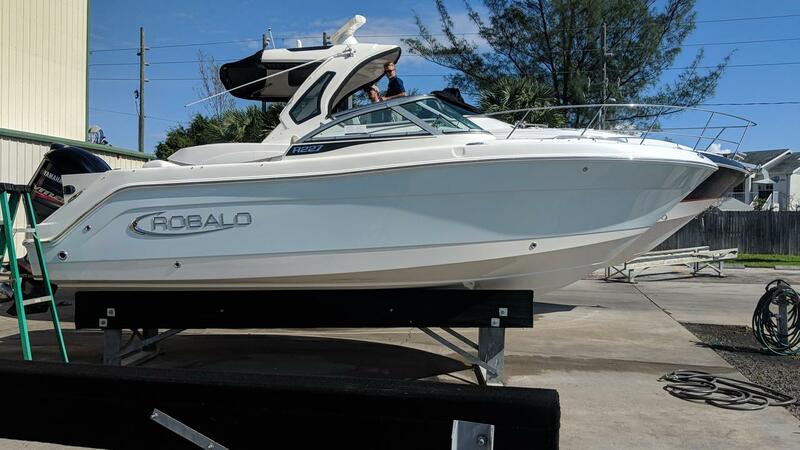 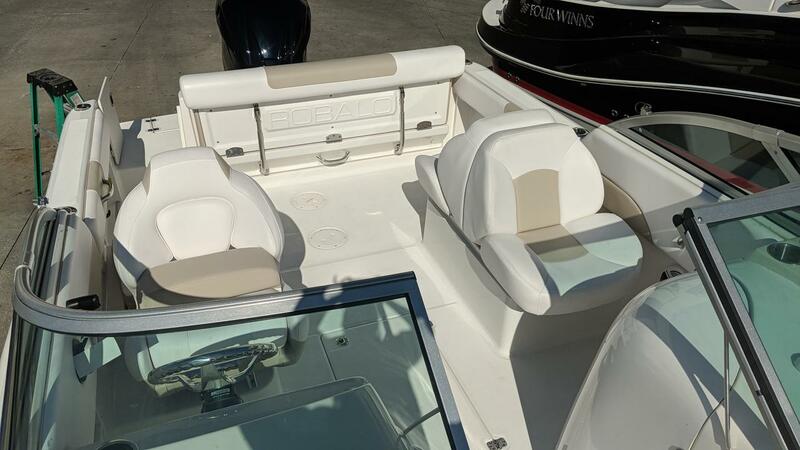 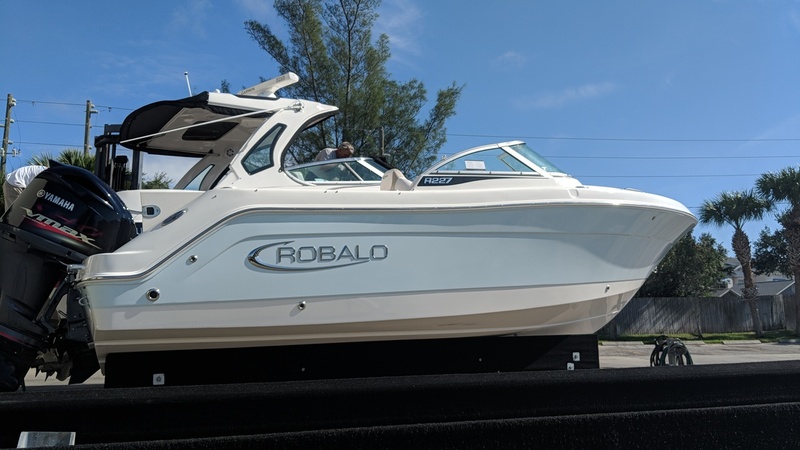 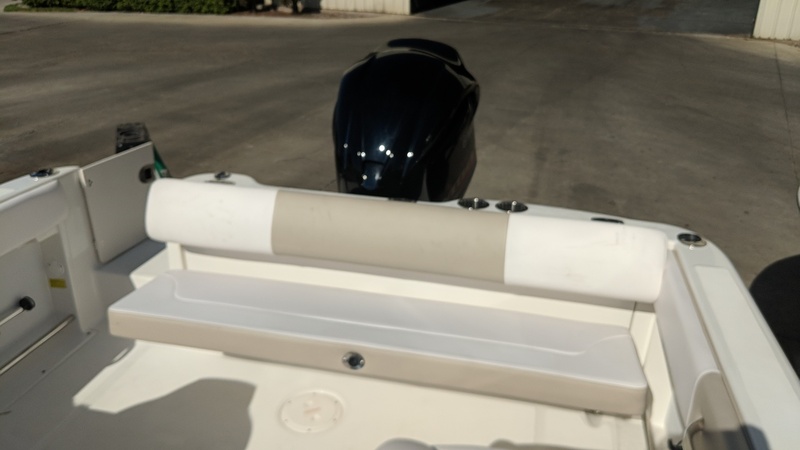 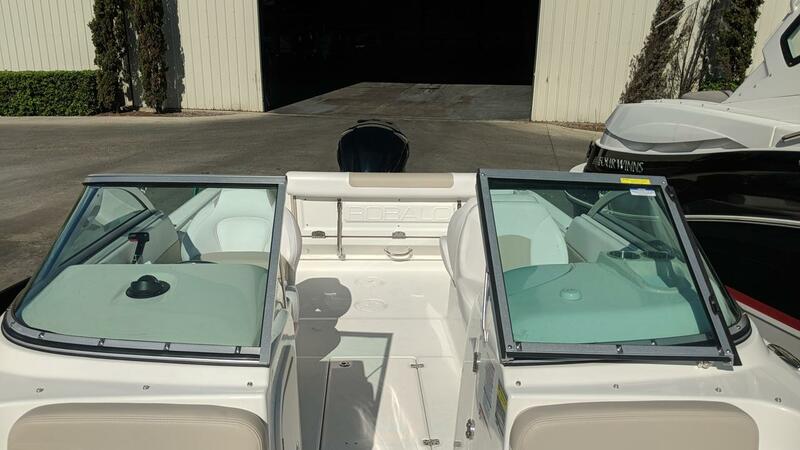 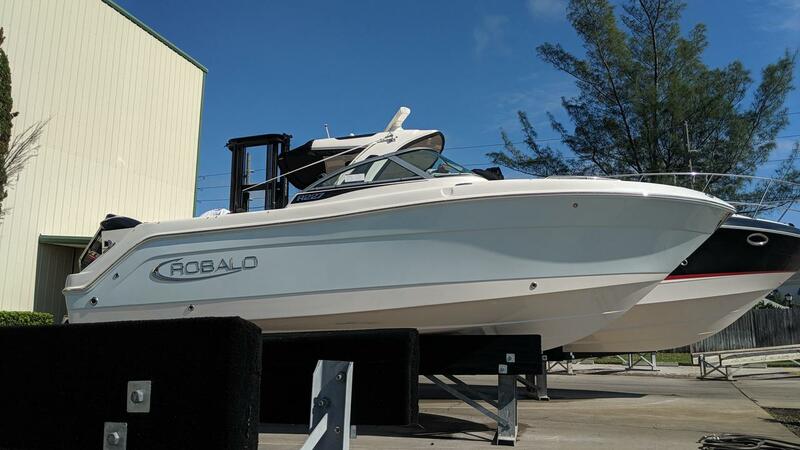 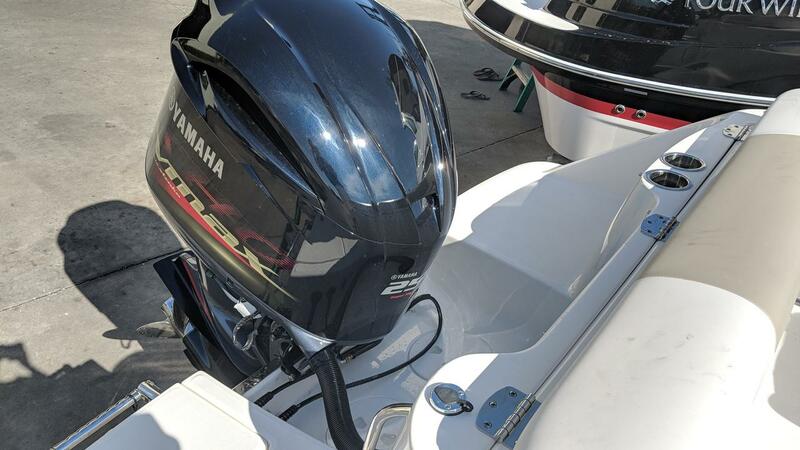 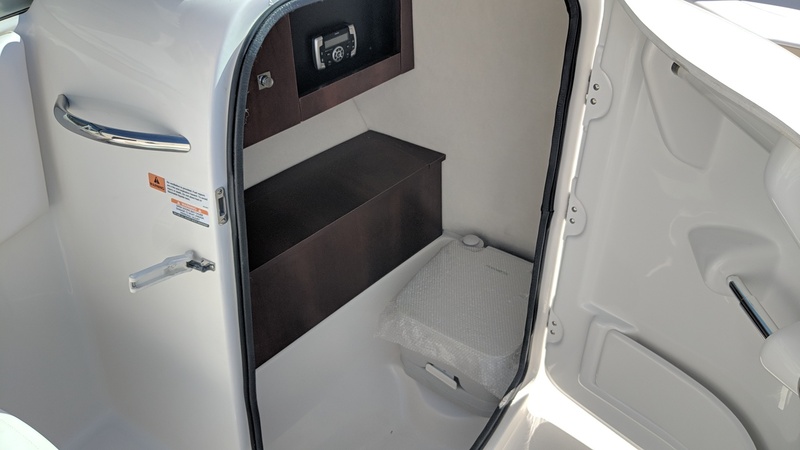 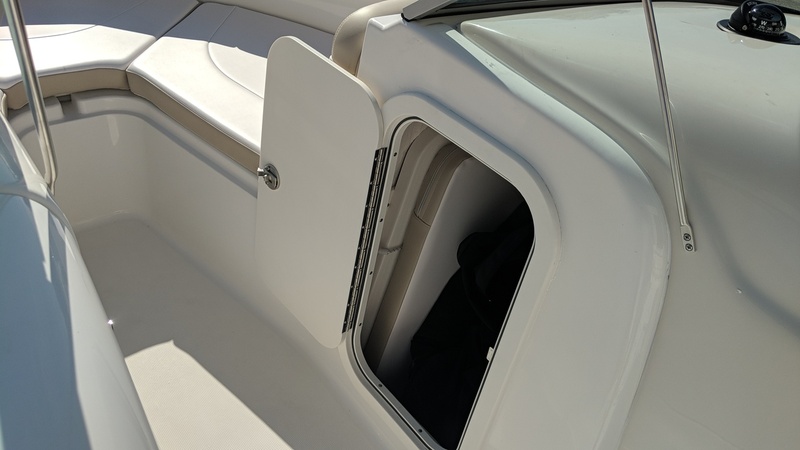 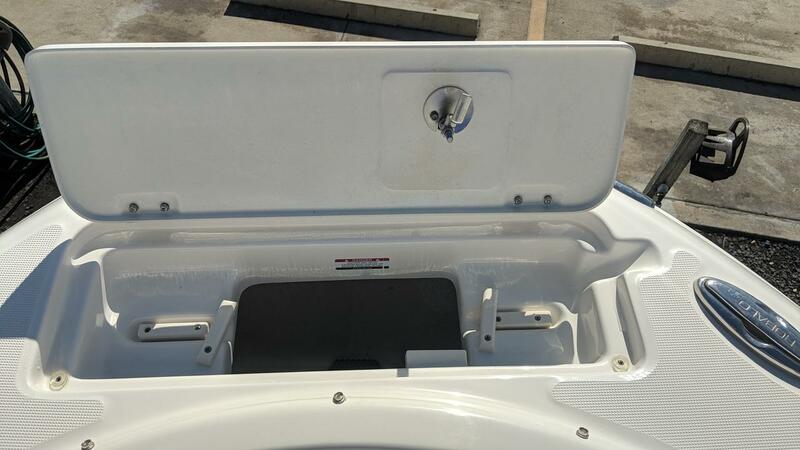 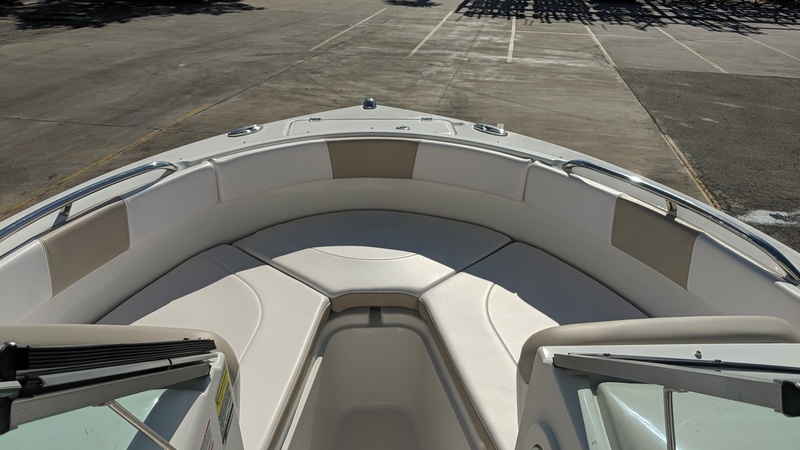 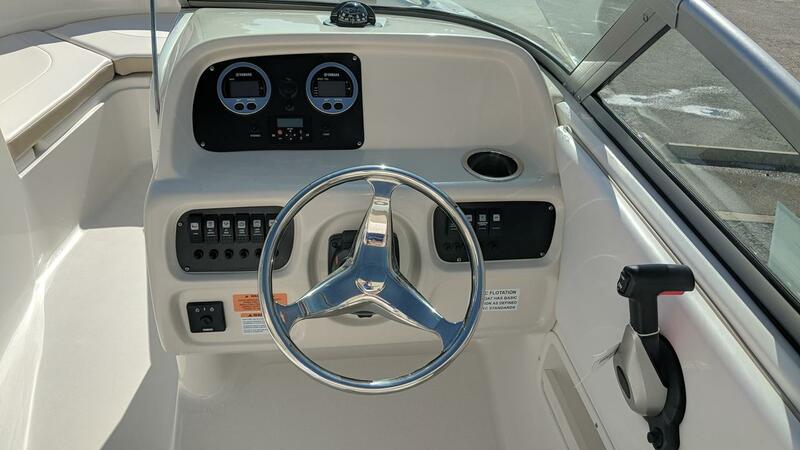 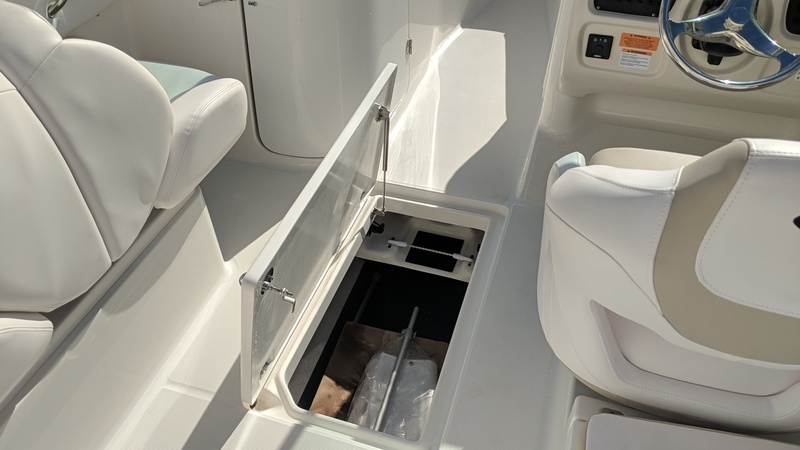 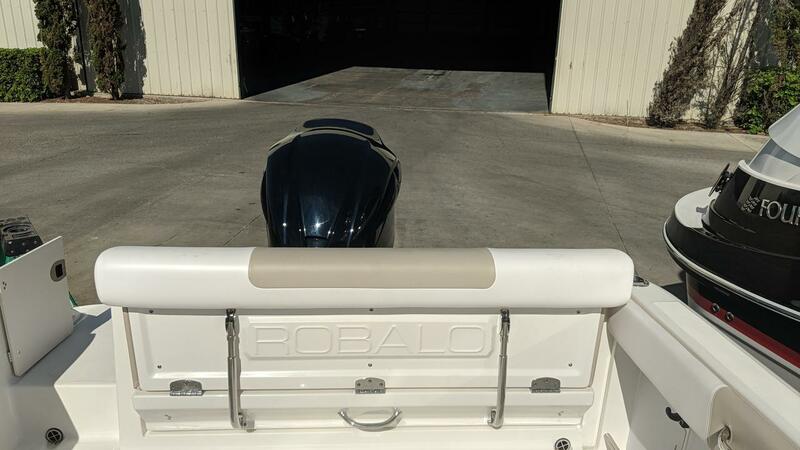 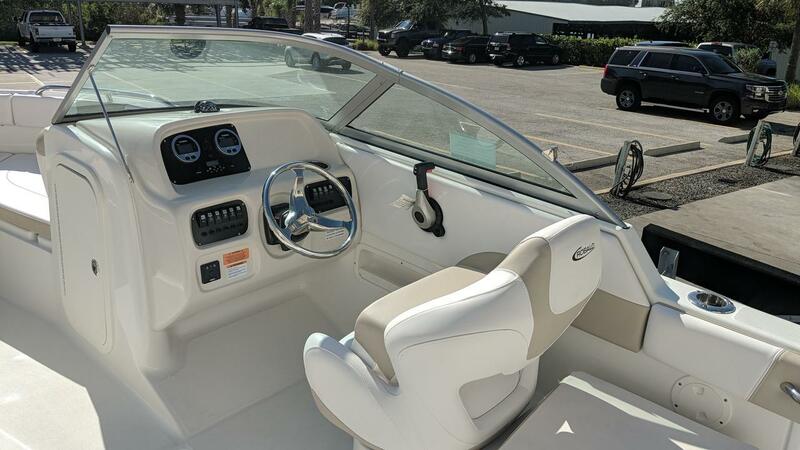 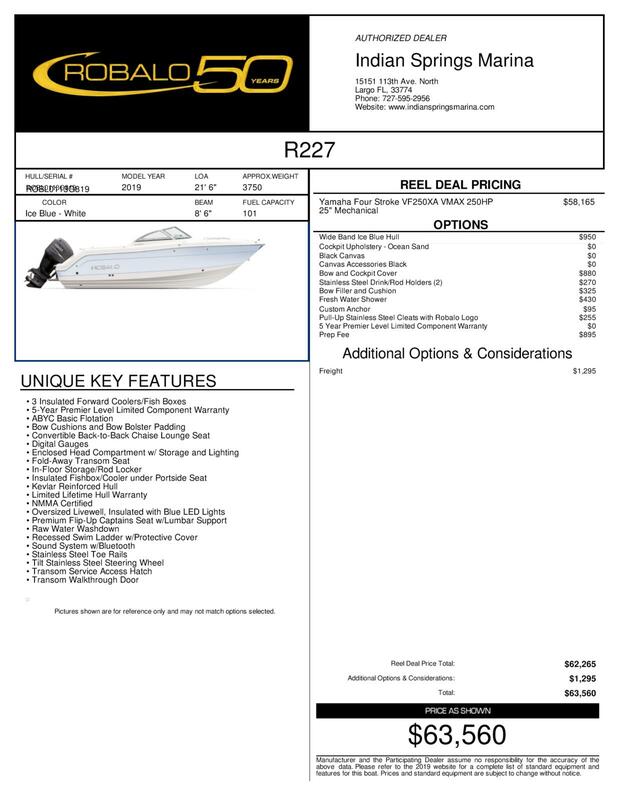 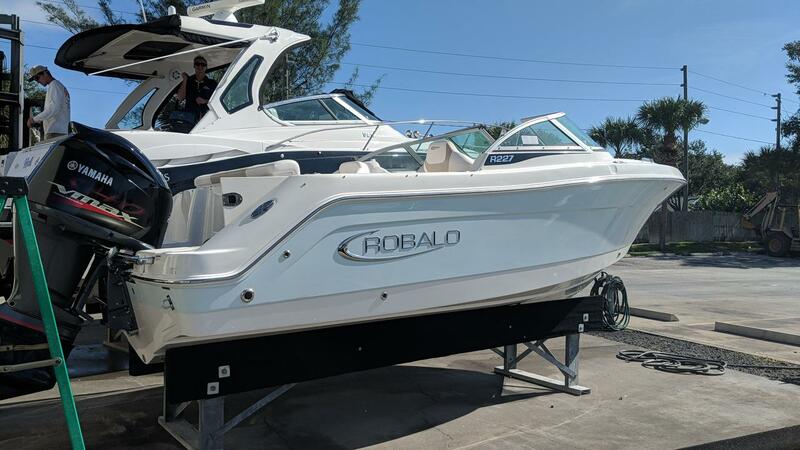 2019 Robalo R227 DC, powered by a Yamaha Four Stroke 250 VMAX! 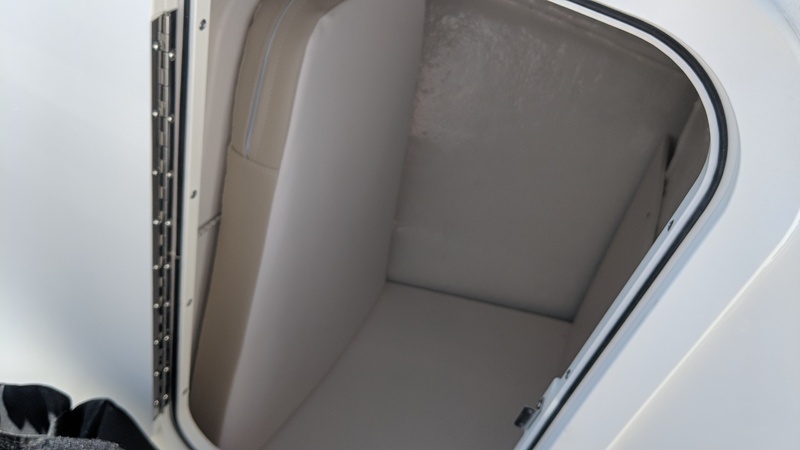 Ice blue exterior / ocean sand interior. 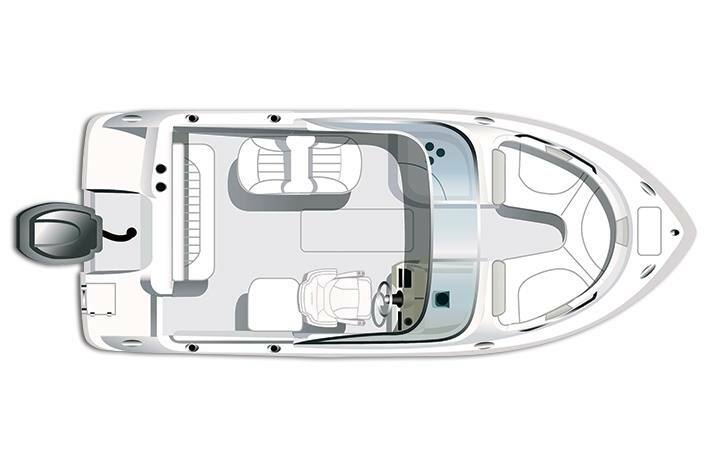 The Dual console model provides a nice balance of plenty of seating mixed with a deep vee for performance and handling. 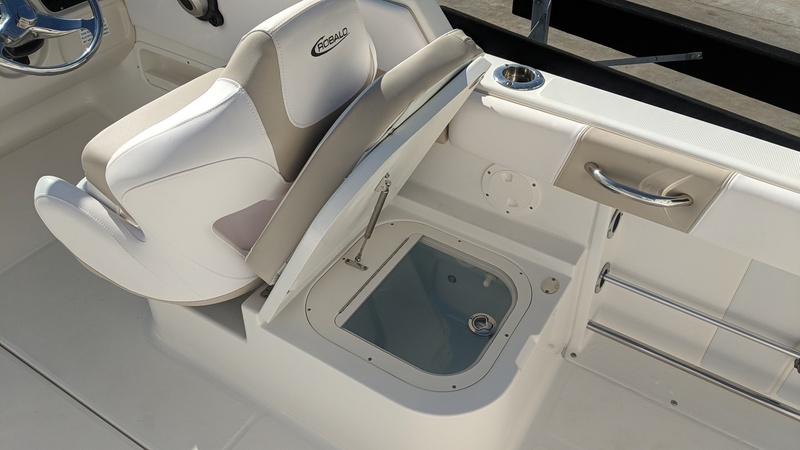 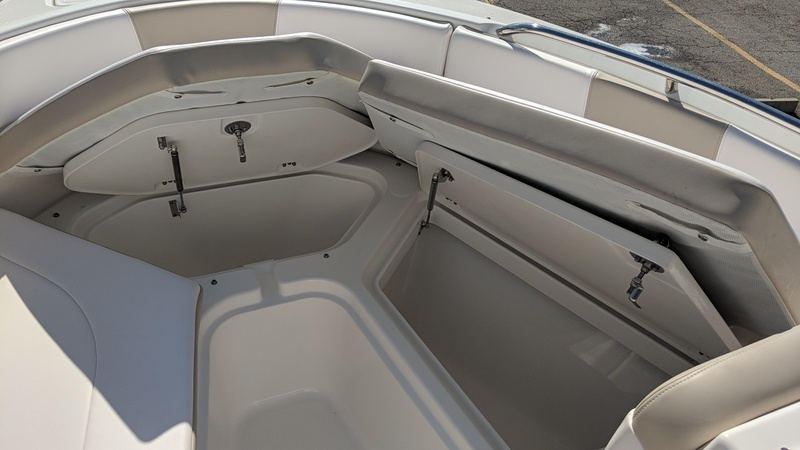 Equipped with bow cushions, bow filler, transom freshwater shower, stainless steel pull-up cleats, snap on bow and cockpit covers, and folding aft seat. 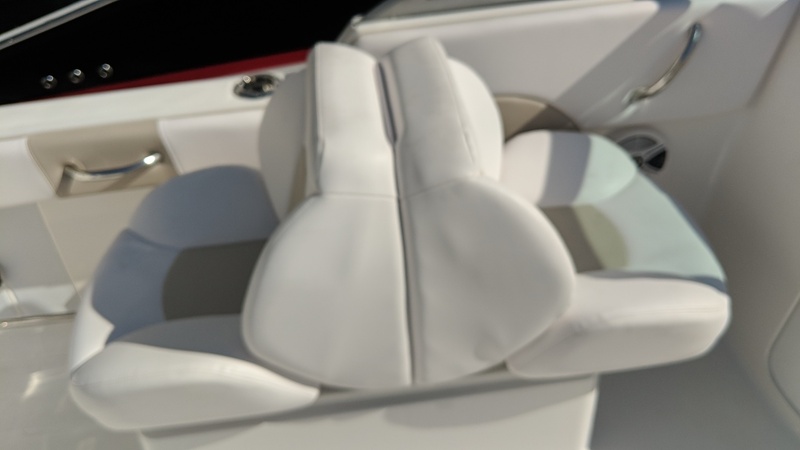 No top at the moment - can be outfitted with a bimini or a custom fixed canvas top.